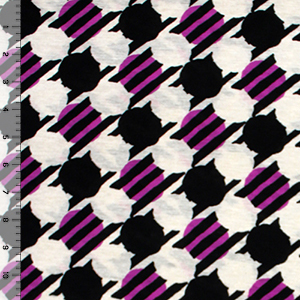 Unique mod style dot design in magenta purple and black on an oatmeal color cotton jersey poly blend knit. 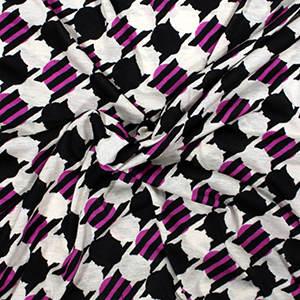 Fabric is soft and drapey with a nice stretch, lighter to mid weight. Dots measures 1 1/2". 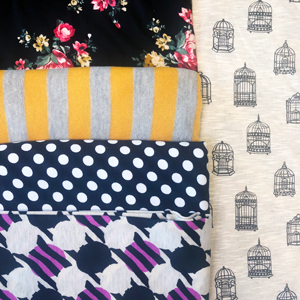 On trend, soft fabric that is great for many items like dresses, skirts, tops, headbands, and much more!